The engagement ring that will never go out of style. “Classic” engagement rings got their name for a good reason; they will never go out of style. 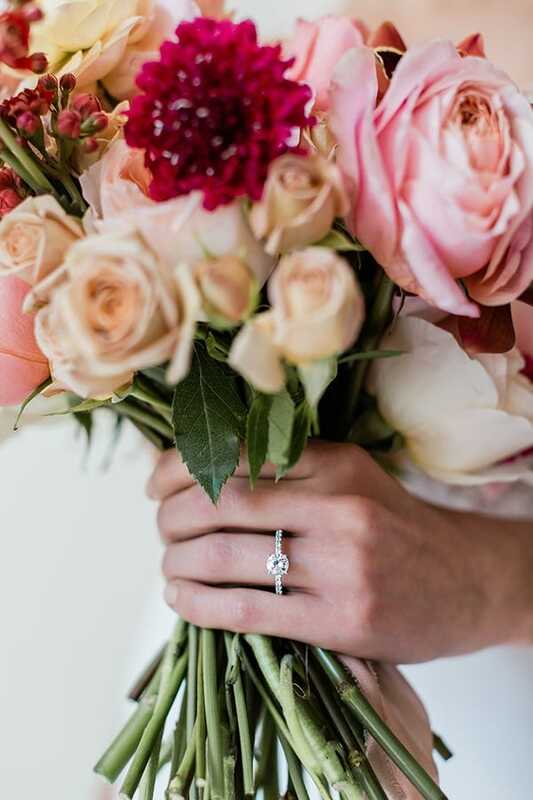 Typically featuring a pavé band, which is a band covered with smaller diamonds, these rings add some graceful glitter to your loved one’s hand. Defined by simplicity and sophistication, these designs will be chic from the day of your proposal to your fiftieth anniversary celebration. Whether you choose a round-cut or radiant-cut stone, pair your diamond with a classic band for a design she’ll be thrilled to wear for years to come. From weaving pavés to double-rowed pavé stunners, our collection of classic engagement rings contains the perfect choice for her style and your budget. Match a classic ring with any of our diamonds, whether it be an oval-cut or emerald-cut stone, for the engagement ring of her dreams. Choose Your Level Of Classic — The ultimate classic look is a plain, single pavé band. However, if you’d like to add a few frills, a double band adds another level of sophistication. Add a weaved band style to the mix for even more of a wow factor. For the woman who’s an absolute show stopper? Try three parallel pavé bands. 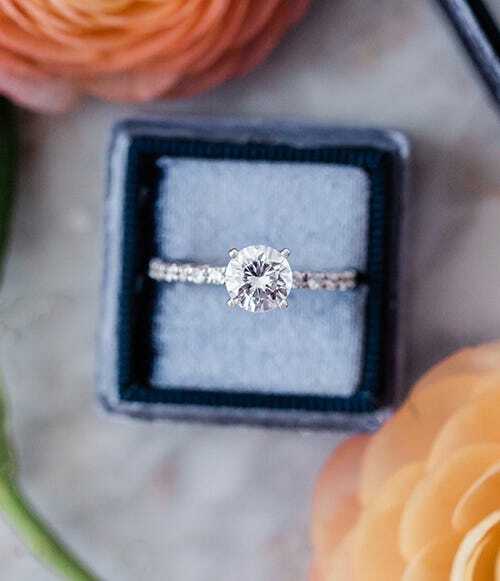 Matching A Rock With A Band — There are, of course, different kinds of classic rings, and it’s up to you to choose how traditional you’d like the ring to look. You can purchase a double-banded, weaved pavé band and pair it with a radiant-cut diamond to achieve a cutting-edge look. 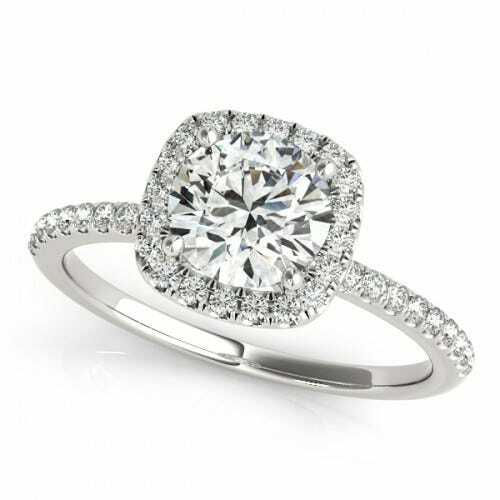 If it’s a purely classic design you think she’ll love, a round-cut diamond with a single pavé band is probably the choice you’re looking for. Up The Bling — The simpler the classic band, the more your significant other’s diamond will stand out. If you’re worried that a smaller rock won’t be able to take the heat or if you want to increase the glamour factor, choose a higher carat size. There are no hard and fast rules for defining classic engagement rings, but there are some tell-tale signs when you see one. They typically feature pavé bands and a center diamond in a plain prong setting, but beyond that, all bets are off. Classic rings can have from one to three pavé bands. While three-banded classic rings are always arranged in parallel formation, two-banded classic rings can be arranged in a simple weave for a more intricate look. Single-banded classic rings can be arranged in a twist for added attraction. Pavés can also feature single bands with double (or even tripe) rows of diamonds. These rings can be complicated with a twist or weave as well. Whether they feature a double row of pavé diamonds or a triple pavé band, these rings are some of the most elegant offerings on the market. 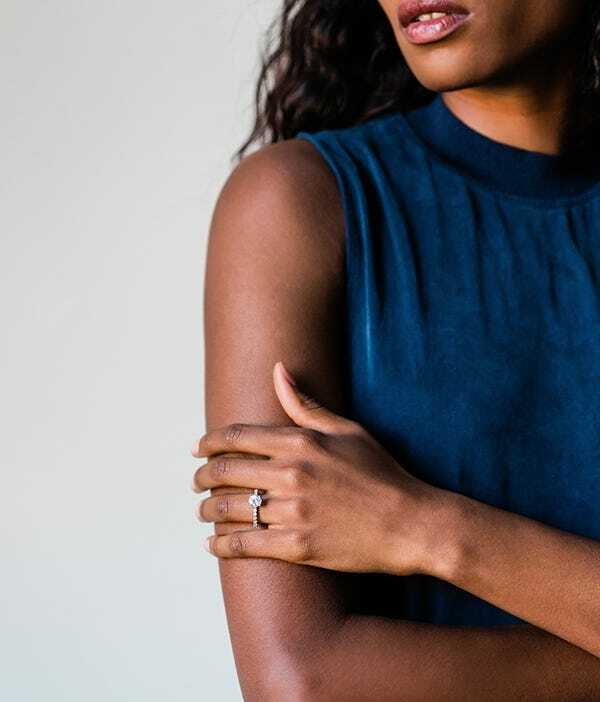 Michelle Obama —President Obama recently gifted his whip-smart wife with an upgraded engagement ring that is as elegant as you would expect from the stylish couple. The new ring features a square-shaped diamond set on an eye-catching pavé band. Anne Hathaway — Anne’s elegant gift from husband Adam Shulman is the essence of classic. A large, emerald-cut center stone is set in a solitaire, surrounded by a platinum pavé band. Victoria Beckham — Victoria’s fourteenth engagement ring (yes, you heard correctly) from husband David was first seen in 2018. The ring features a striking square-cut yellow diamond set on a pavé diamond band. Drew Barrymore — Ex-husband Will Kopelman gifted Drew Barrymore a beautiful four-carat radiant-cut diamond engagement ring, though now the two are divorced. 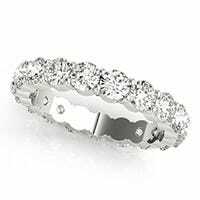 The sparkler rested in a simple pavé band, adding elegance to the daringly cut rock. Teresa Palmer — Teresa’s gift from husband Mark Webber features a rose quartz center stone instead of the usual diamond. The sleek pavé band is made of rose gold to add yet another twist to the classic engagement ring.